If I were a realtor, I would hand out fudge. Or hotdogs. Or homemade chocolate chip cookies. Any treat to mitigate the laborious grind of the house hunt. However, with the economy’s upward climb, a proliferation of new housing options have peppered the market, and along with them, a stream of fresh ways to engage potential home buyers. Home buying might actually be fun again. Real estate agents, developers and builders alike have re-introduced the age-old concept of the contest but have revamped it in fresh and interesting ways. Potential home buyers now enter a proverbial play ground of incentives, prizes and freebies to ease and expedite their choices. Naturally, the main tenant in real estate appeal still remains the same: location, location, location. But how much can juicy incentives sway a customer’s decision between the his or her top picks? Make It About Me: Effective contests swing the spotlight onto the potential home buyer, inviting the customer to invest in a personal way rather than tossing their names into an overflowing fishbowl. Ben Marion Real Estate, a California-based agency, asked fans to snap selfies in front of its office sign. Once posted on social media, the photo that garnered the most likes won tickets to see the acclaimed Rascal Flatts in concert. Customers flocked to see their own selfies online and begged friends to visit Ben Marion’s page to vote. Effective. 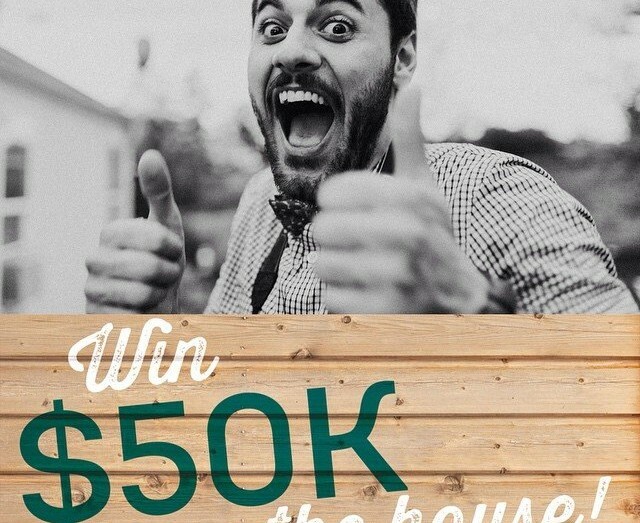 Make It Worth It: In preparation for its May 16 grand opening, Wendell Falls— a new-home community in Wendell, North Carolina (and Clairemont client)—invited potential home buyers to enter for a chance to win something big: $50,000 towards a new home in Wendell Falls. How much is $50k? This eye-popping prize–approximately the same amount as the average American’s annual household income–attracted several hundred contestants to throw their hats into the ring with heart-warming stories and some whacky selfies. Who wouldn’t? We have to give a high-five to Wendell Falls and ad agency partner Roni Hicks for incorporating all three of the “it” factors into its contest as well. With only a few words to write and fun selfies to snap, fans enjoy spotlighting their own personalities in an easy, accessible process. Well done, team!